Relax on the 25' x 8' covered front porch of this cozy 2 BR, 2 BA home in original condition. Beautiful hardwood floors like they did in the "old days"!. Huge fenced back yard will make your pets super happy, too! Additional space upstairs if you'd like to add another bedroom, as well. 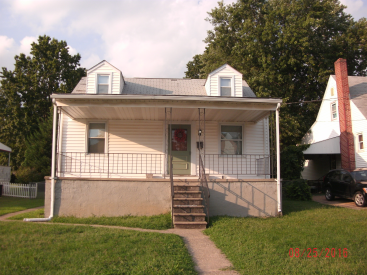 Seller does not wish to do repairs or updates but this home shows well. Come check us out today!